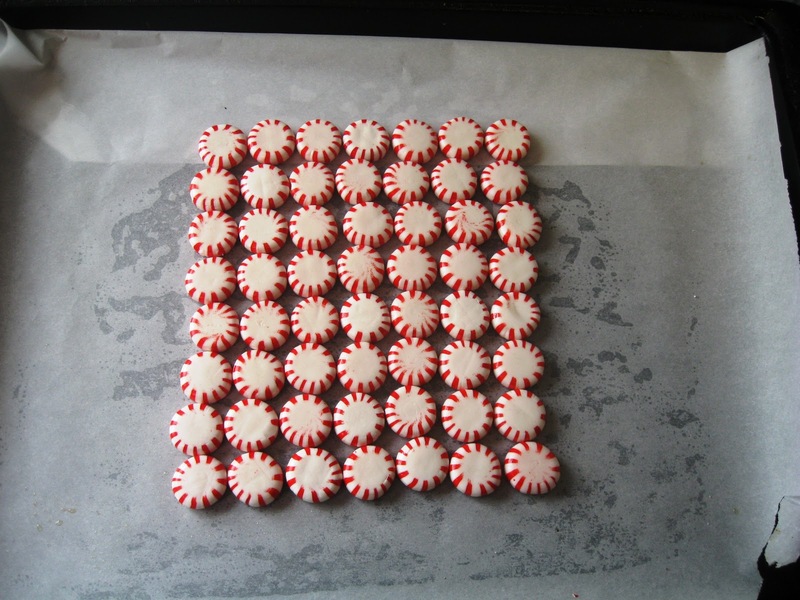 Today's Thrifty Gift Friday features making a fun, unique and inexpensive holiday serving tray out of peppermint candies! It would be a fun project with your children too! 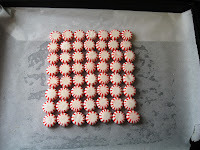 You can go from a bag of peppermint candies to serving tray in about 10 minutes total! 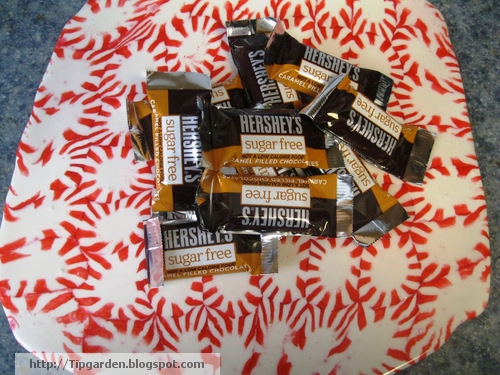 This would be a fun gift for giving to neighbors with a plate of treats! This design used up one bag of candy. 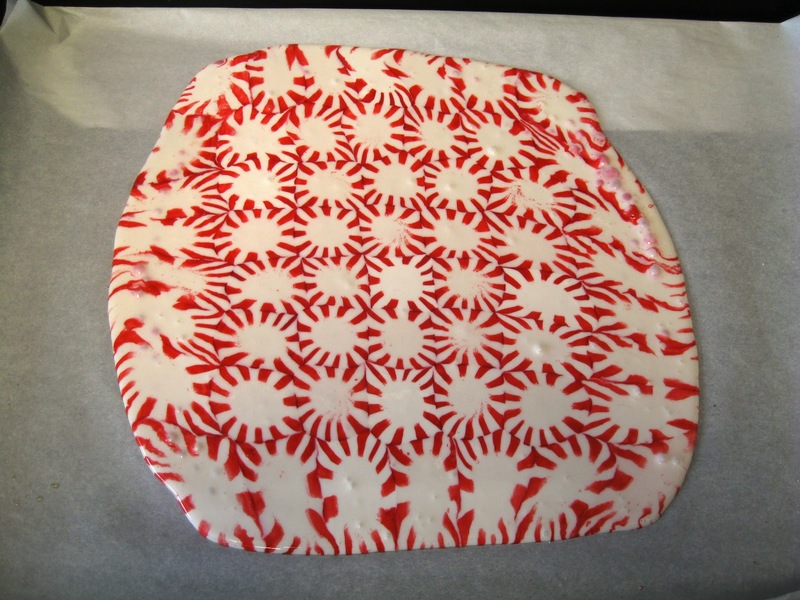 Wouldn't blending the green and the red mints in a circle or candy cane pattern be fun too? 4) Bake for 8-10 minutes. 6) Once cool, you can use as a serving tray. Question: Is it or does it get sticky? Answer: Usually not. My tray and most that you make come out of the oven smooth and non sticky. I live in the humid south so I know that can play a role in stickiness. But I was pleasantly surprised to find it not sticky at all! Question: Can you spray a sealant on it to prevent stickiness? Answer: Maybe. Most sealants aren't labeled as food safe. 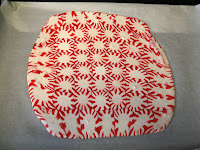 That means the food you put on top of the tray may absorb some of the chemicals from the sealant. It should work, but do you want to? If you can find a food safe sealant, than go for it! Want some fun ideas for designs? Go to this great link which was my inspiration for this post, great site!